These were the essentials for a carefree camino. 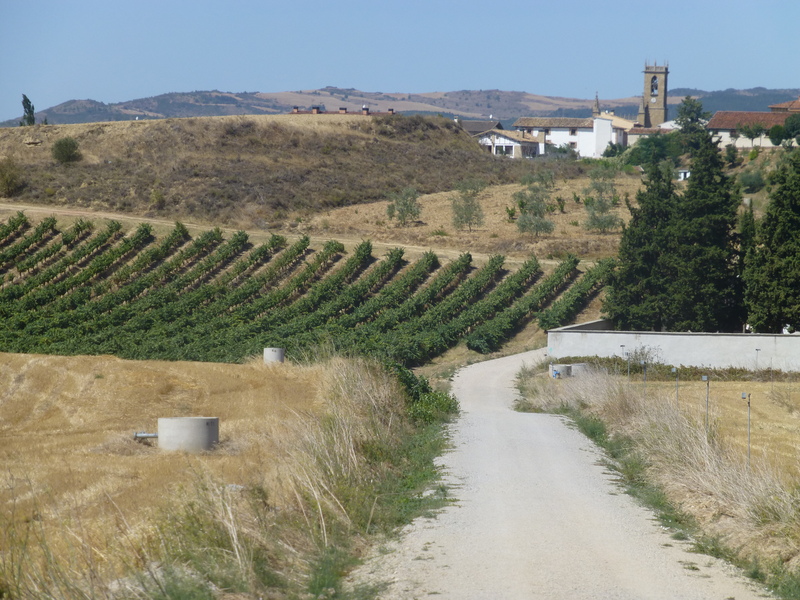 By the time we reached Nájera we’d covered around 90 miles and the daily pounding in the heat was starting to show on our feet. Many pilgrims were really suffering with horrendous blisters and while my own feet were holding out pretty well in their well-worn boots, I’d started to copy some companions who were plastering their toes with Vaseline every morning. You can never take too many precautions when reaching your destination every day depends entirely on your feet! So I remember Nájera less for its illustrious history as the one-time capital of the Navarre Kingdom and more for stocking up with a huge tub of vaseline at a farmacia, buying coffee and chocolate and, oh joy of joys, officially the most delicious apple pastry I have ever eaten – anywhere! I munched it as we crossed the bridge over the río Nájerilla, making for Azofra 6km away through the vineyards of Rioja grapes. village shop for more of their local brew and met an old man on the return journey who was thrilled that we were drinking (and clearly enjoying) his co-operative’s produce. I remember repeating “Esta muy bien” a lot and his laughing face as he waved his stick and wished us a Buen Camino. 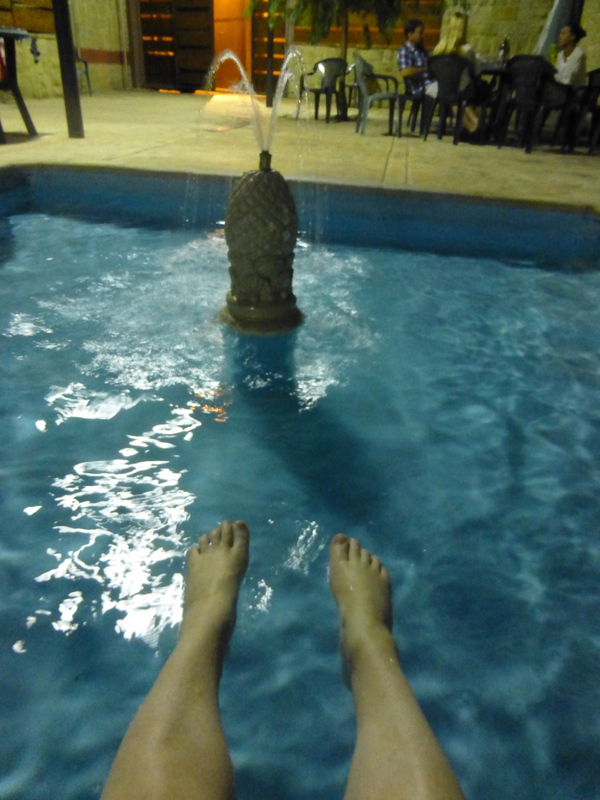 We cooled our feet in the garden fountain after the bottles were empty and slept in the most comfortable albergue so far. Two to a room. An open window. Peace.